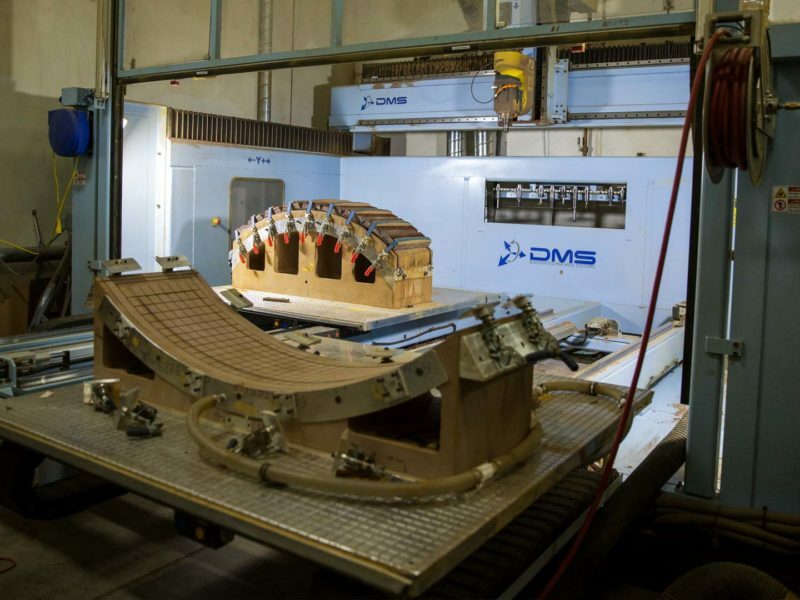 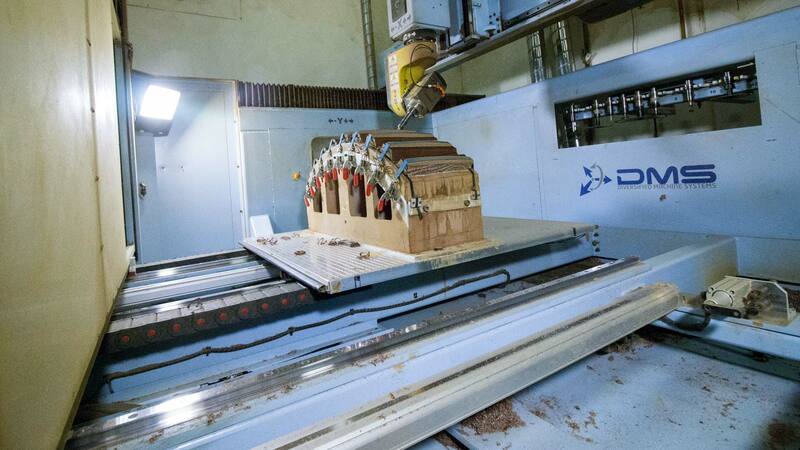 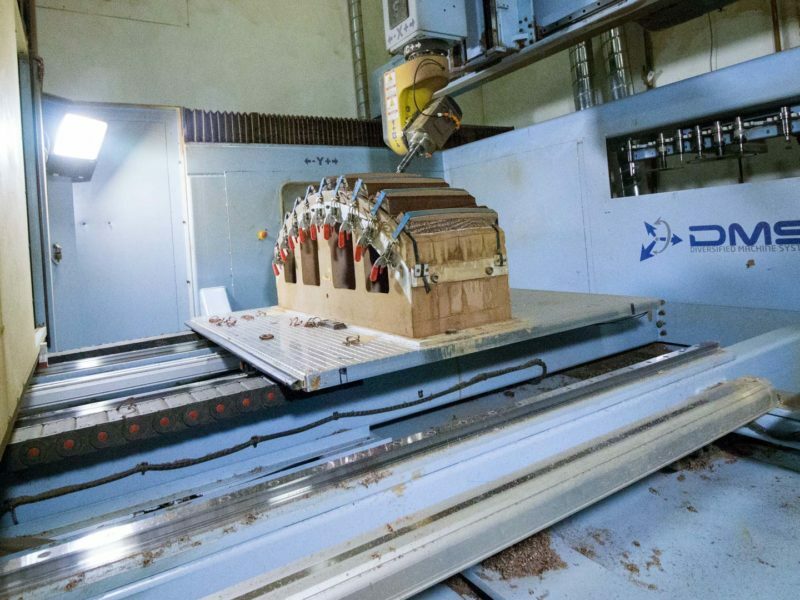 This DMS 5-axis router has twin 5′ x 5′ tables which can be used individually for efficiency or together to form a 5′ x 10′ work envelope. 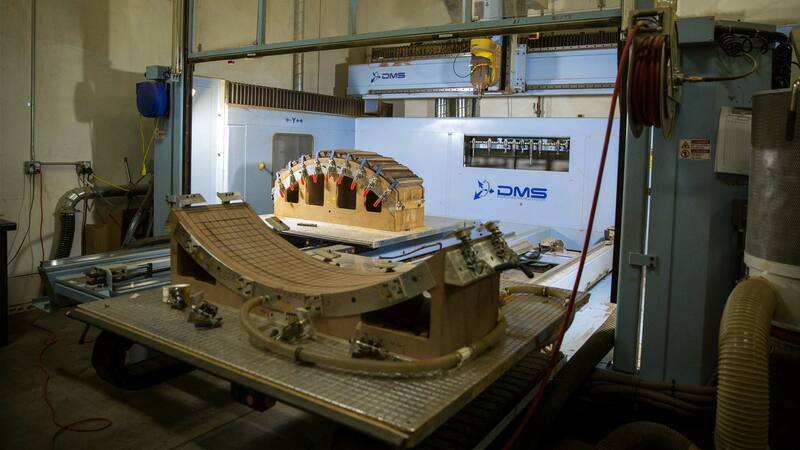 With a high-rpm spindle, high feed rates, and a ten-position tool changer, this router is optimized for honeycomb and foam machining. 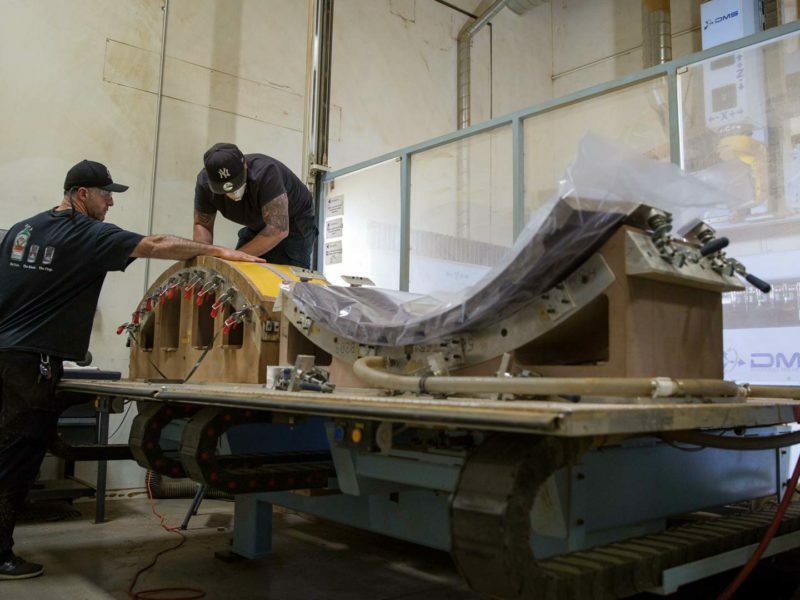 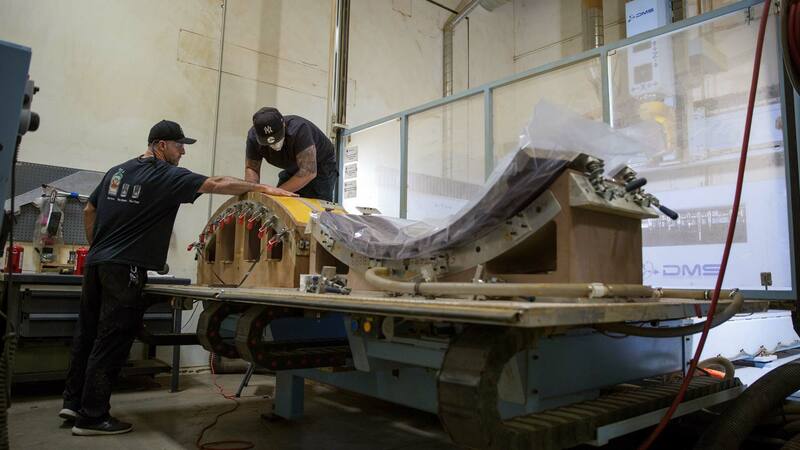 Vacuum tables allow for rapid movement of parts on and off this machine. 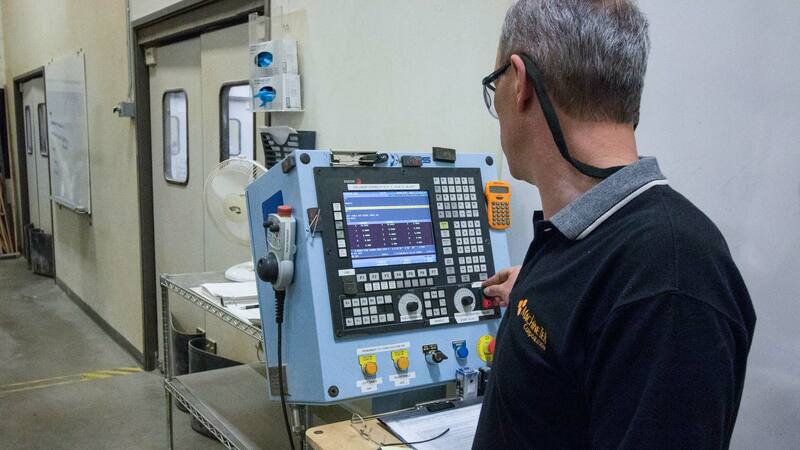 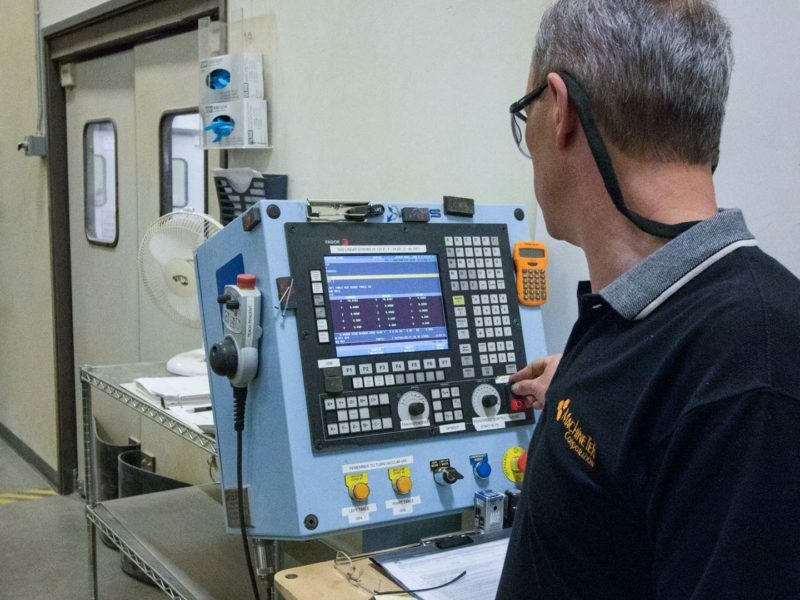 A current-generation Fanuc controller facilitates quick and precise tool paths.